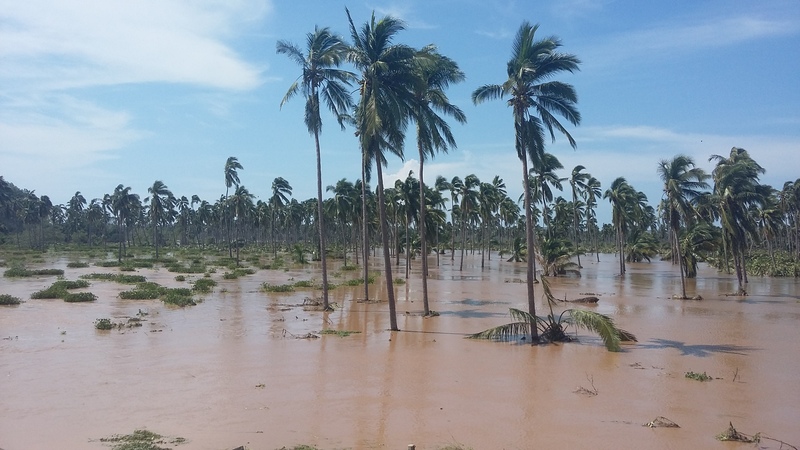 Hurricane Patricia caused flooding and brought down trees but did little serious damage. Hurricane Patricia hit Mexico’s Pacific coast on Friday night, bringing downpours, surging seas and cyclonic winds, but has since weakened, with the main concern moving to fears of landslides caused by heavy rain. Four hours after making landfall in a relatively unpopulated stretch of Pacific coast, Patricia was downgraded to a category four hurricane and then to a category two storm. The hurricane was now a category one storm, with winds weakening to about 75 mph (120 kph) and was centred about 50 miles (80km) south-southwest of Zacatecas, Mexico. Heavy rain continue to fall. Click here to read this report by Nina Lakhani and myself at the Guardian.